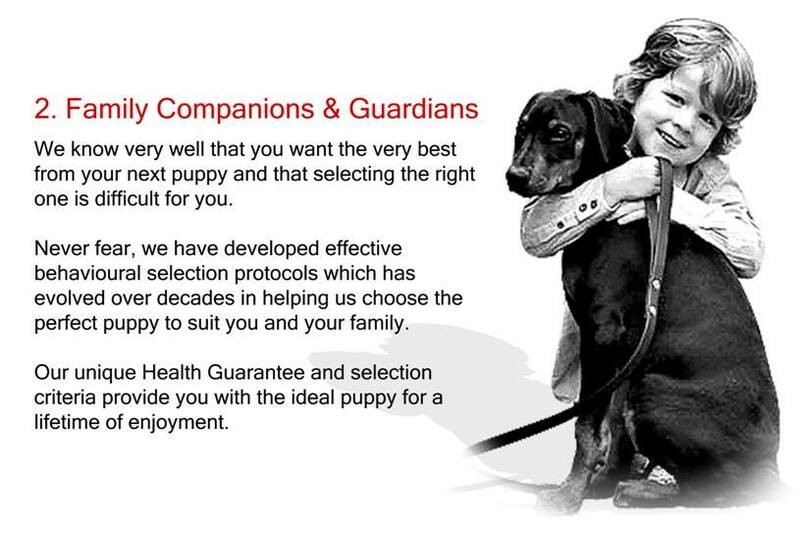 Von Forell Australia acknowledges that you want the very best for your next puppy. We also know that there are multiple concerns when trying to choose which puppy is the right one for you. From our humble beginning in 1981, Von Forell has made every effort to source the World’s finest dogs which have produced the dogs we have today. We are positive that you will be more than satisfied with a Von Forell puppy and to ensure that you get the very best selection that suits your requirements, we would love to know more about you and what you would like to see in your next puppy. In fact, we would love your wish list and please, don’t hold back. Let us know what you wish list by simply completing this on the right in order to help us establish how to best help you and will be in contact shortly. In the meantime, if you would prefer to speak to us please feel free to call us on +61 418 348 804 if you reside Internationally and 0418 348 804 if you live in Australia. Hours are 9am to 5pm on Monday to Friday.